This is the first in a series of guests posts that feature Archtober Building of the Day tours! And we’re off! 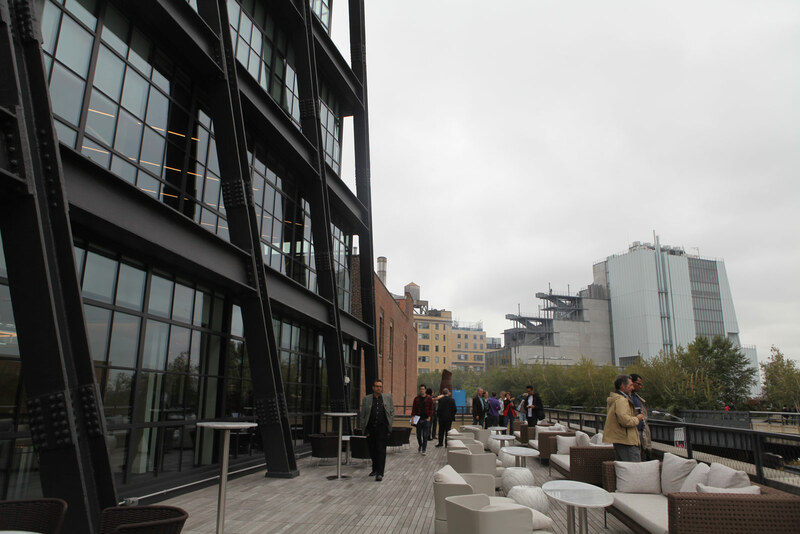 Our first Building of the Day tour location was Samsung 837, the brand’s digital playground in the Meatpacking District. We started in the ground floor’s recording studio, where the company hosts local DJs and artists. There, Steve Bitterman, AIA, from Gensler told us about the design process his team employed in designing the interiors for Samsung 837. 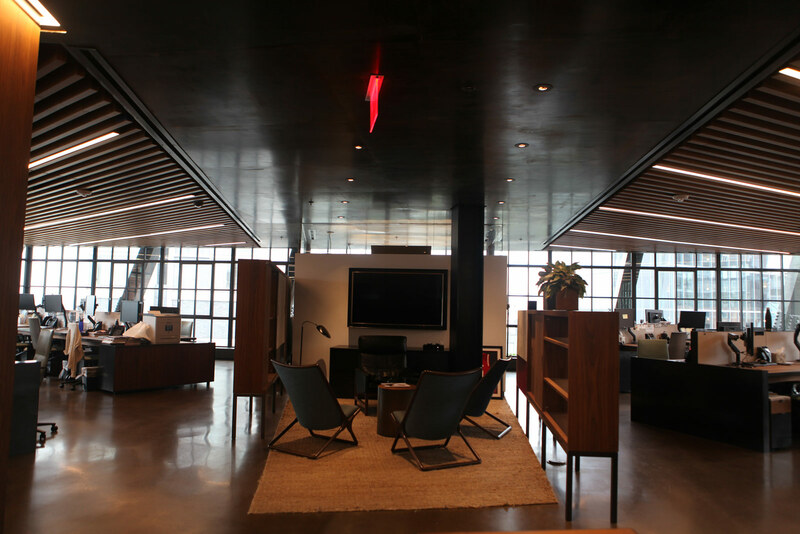 Everything in the building is completely custom-made—the floors, the chairs, the casework—in order to attract talent. To that effect, the space is designed to be very collaborative. 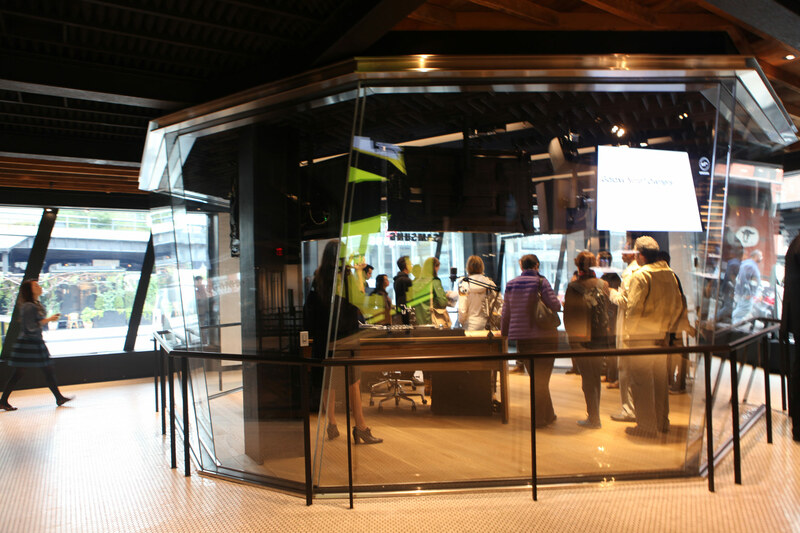 The first and second floors comprise the experience and event spaces. 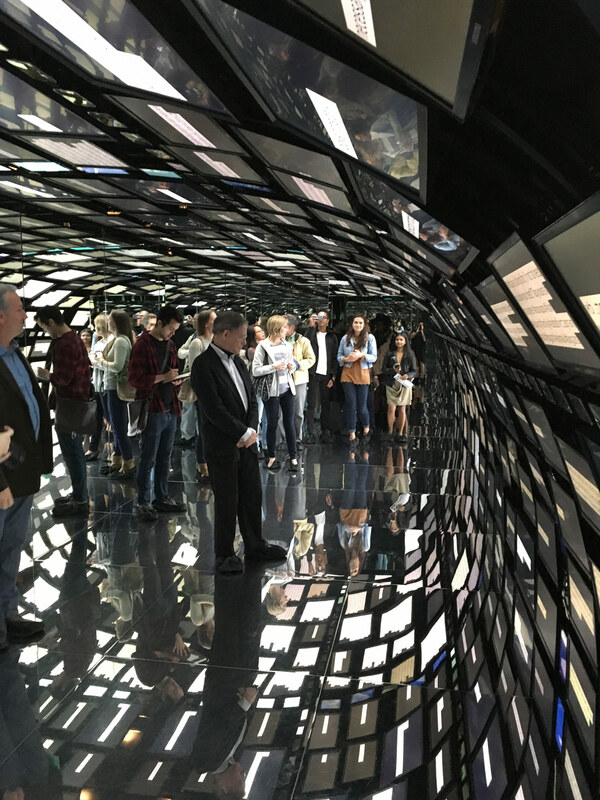 Bitterman and the Samsung team led us into the Social Galaxy, which has over 300 Samsung screens displaying Instagram posts from different times and places. To add to the social media experience, Samsung also commissioned a three-story screen, the largest interactive social media display in the world, made up of 96 individual screens. Visitors are encouraged to take a selfie, which is then created on the megascreen by thousands of former selfies. 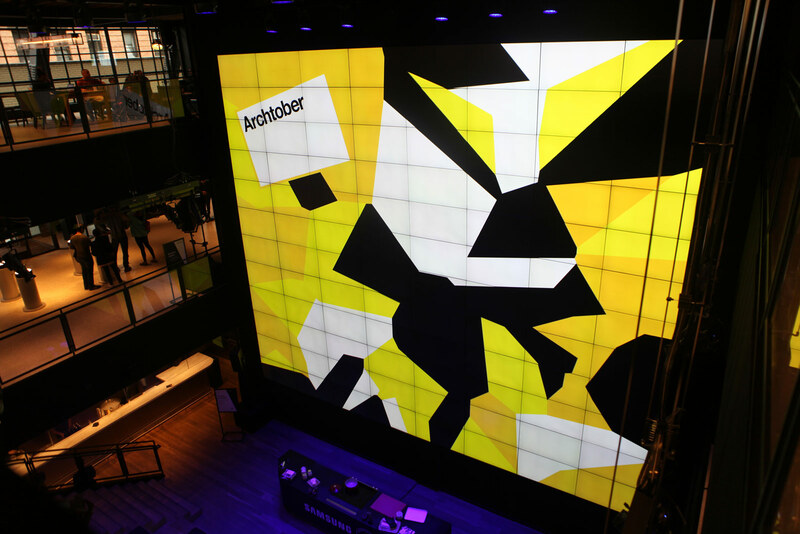 Gensler had to carve out three stories of Morris Adjmi’s structure in order to accommodate this display. We then moved on to VR Tunnel and 4D seats. Through a virtual reality headset and moving seats, I was transported to a thrilling virtual roller coaster ride. From there, we moved to the second floor, more service focused than the experience focused first floor. A mock-up of a living room and kitchen enables visitors to see how different Samsung devices will fit into their homes. Bitterman then led us to the sixth floor, which houses offices for Samsung personnel. Everything on these upper floors is also custom-made, a creating a unique work experience. 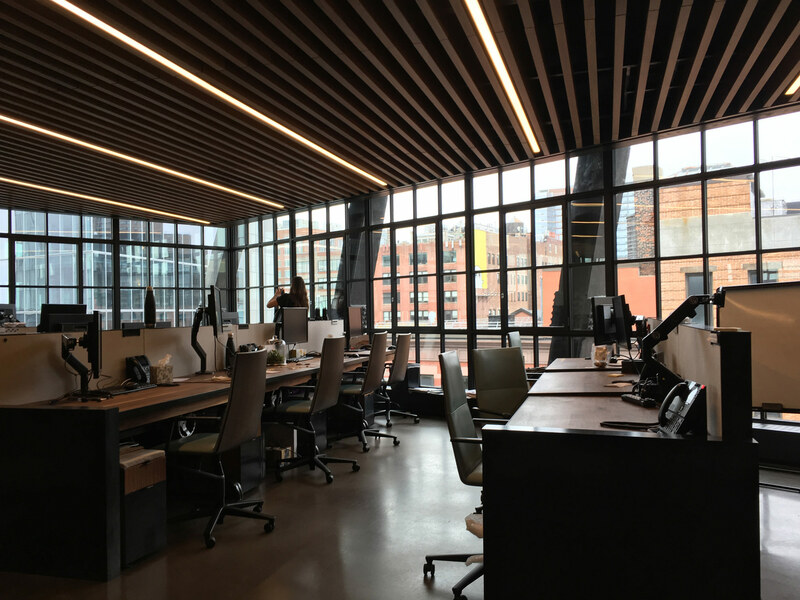 The design team wanted the space to evoke the industrial history of the Meatpacking District, evident in the metal beams and manual desk cranks. Moving down, we were shown additional floors that serve distinct purposes. The trapezoidal pyramid structure of the building means that the floor plates increase in area as you go down, making the third floor large enough to function as an event space. It’s easy to see why so many people would want to come here for everything from seeing a concert to having a meeting. Tomorrow, we go below ground to the Lowline Lab. About the author: Jacob Fredi is the Public Programs and Exhibitions Coordinator at the Center for Architecture. When he’s not on Building of the Day tours, you can find him playing board games (Ticket to Ride!) and brewing his own beer.